With the Carousel Mode feature, you can only loop Databoards contained within one Databox account. However, in this article we will go through a solution to gather several shared Databoards from across Client accounts to have an aggregated view of your and your clients most important Metrics. Please note: no data is shared between Client Accounts with this solution. Here is a step by step guide on how to set up the Looped Databoards by using a Chome Plugin, such as URL Slideshow. 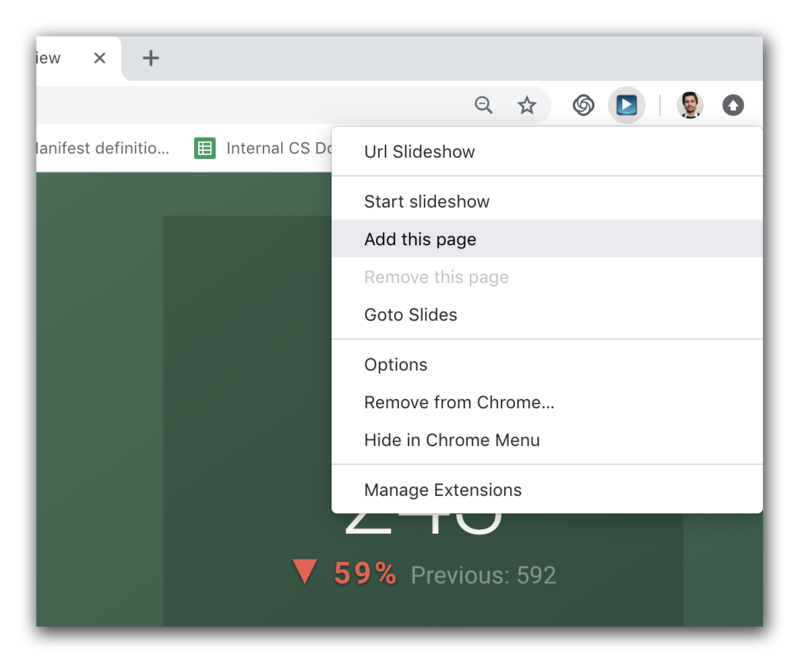 This Chrome Plugin will load all added pages in the specified order and refresh the page after a set amount of time passes. No Data or Databoards are transfered across the Accounts. Go to the webpage URL Slideshow to install the Chrome Plugin. After the plugin is installed a new icon will appear in the top right corner. 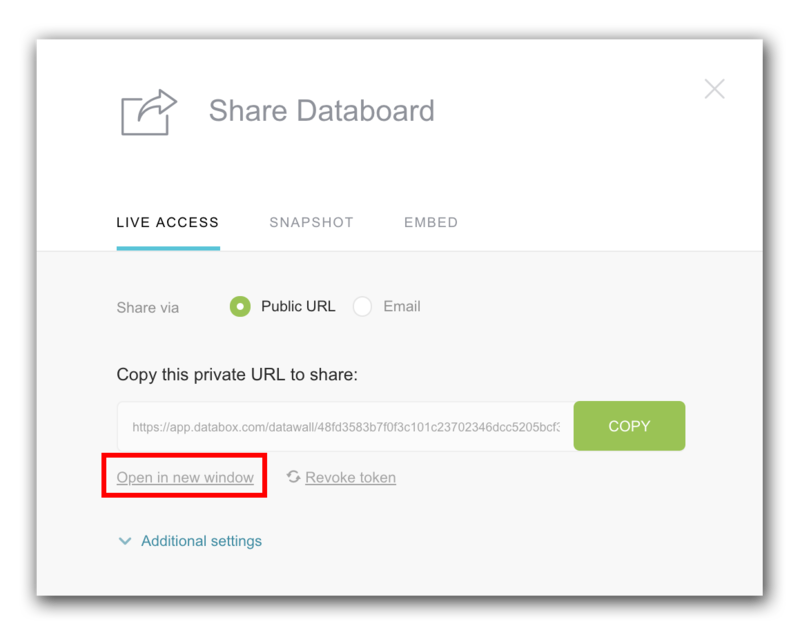 After the plugin is installed, login into your Databox Agency Account and open the shared Databoard URL in a new tab that you would like to loop. You can open Databoard URLs on Agency and/or across several Client Accounts. After all Databoard URLs that you would like to include in the loop are opened, go to the Databoard that you would like to set as the first one in the loop. Right click the icon in the top right corner and click Add this page. The opened Databoard URL has now been added to the loop. Repeat this step for all other Databoards. To see the list of all added Databoards, right click the icon in the top right corner and click on Options. Here you can also set the loop time for every Databoard by changing the value under Default url showing time. After all the Databoard URLs are added, you can start the slideshow by clicking on the icon in the top right corner. You can also right-click the icon and click Start slideshow. A new tab with the looped Databoards will open. The page will shift to the next Databoard based on the previously selected URL showing time (by default set to 5 seconds). How does data update when sending a Databoard to a Client Account?